We lead stressful lives which are full of competition. This stress over a long term has a negative effect on our lives. What if we had a way to distress by cooperating rather than competing? Cooperative games help us do exactly that. You can relax and play cooperative games with friends and family. It helps you to improve your health and live a longer life. It is a well-documented fact that when you relax and enjoy life, you live longer. Italians live longer than their counterparts because they spend more time with family and friends. We have mentioned below the main features in a quick comparison chart for you to decide on the best cooperative game for you. Pandemic Legacy 13 and above 60 minutes 2 to 4 players Made cooperative games famous. 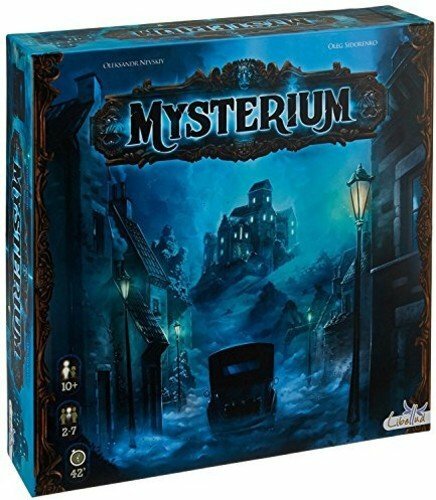 Mysterium 10 and above 60 minutes 2 to 5 players Best in the murder mystery genre. Railroad 13 and above 120 minutes 1 to 4 players Educational value. of the Temple 8 and above 10 minutes 1 to 5 players Fast. Pandemic is the game that made cooperative games famous. The main hallmark mechanics of cooperative games started with Pandemic Legacy like allocating action points to giving unique abilities to player roles. It also brought in a lot of expansions and spinoffs. 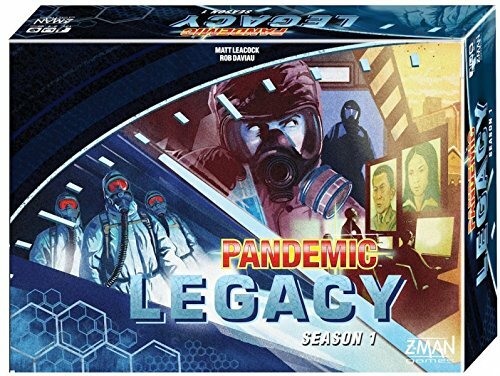 Even with the competition, Pandemic Legacy continues to be the most revolutionary and best game among the virus-eradicating cooperative games. The Pandemic Legacy takes all the main rules of the original Pandemic and then increases the time duration to allow you to play the adventure into many sessions as you continue to prevent epidemics and cure diseases. This version has a unique rule set which keeps you alert. The rules will make you rip your cards, sticker the game board and alter the physical components of the game. The Pandemic Legacy is a cooperative game that has permanent consequences. It is based on the original hit Pandemic. You, as a player, will be a member of the Center for Disease Control. You will have to travel across the globe and treat, prevent, research, and cure pandemics which mysteriously pop up. It is a fun game which is challenging and will bring out the best in you and your friends and family playing the game. The choices which you will make and the consequences are the core features of this game. You will have cities collapsing due to the pandemic and the characters will succumb to their diseases. When this happens, you and your team will have to make permanent choices which will affect the rest of the sessions of your Pandemic Legacy. Who must you save? Whom will you have to give up on? Will you reach the end? The uncertainty of the game and the decision making, make this cooperative game so interesting. Your choices create permanent consequences which will impact future sessions. You have to play each session with the same players until the game ends. 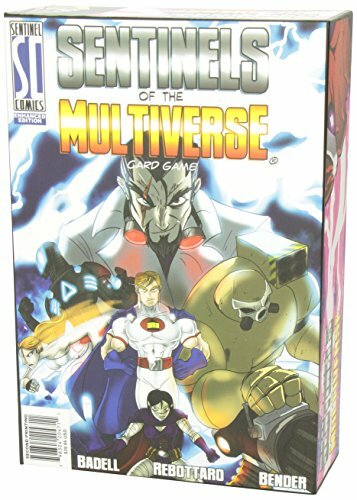 The Sentinels of the Multiverse is the best cooperative board game when it comes to the superhero genre. You will have to take the role of a superhero and clash with the four game-controlled villains. You must team up with other superheroes and destroy the villains. It is a game that is very streamlined and very addictive. If you are a superhero fan, you will love this game. This is a game which the “Big Bang Theory” characters will go crazy over. If you connect with them, you will love this game. As a player, each one of you will have an opportunity to choose to be one of the ten heroes and fight against one of the four villains. You can choose from any one of the four dynamic situations. This is the enhanced version which 36 divider cards. There is one card for each hero, environment, and villain. There are cards with both expansions and promo characters. The game has a 20-page rulebook with diagrams, instructions, a guide and heroes and villains bios. Like superhero comics, there is a mad scientist who has the world hostage with the help of his bizarre inventions. There is an alien warlord who comes from a galaxy far away and has brought his army of minions to take over our planet. There is a giant robot that destroys major cities on the coast. At every turn, there has to be a group vote so everyone has to constantly pay attention and not only when their turn comes up. The Mysterium is a very captivating game which combines psychic mediums with solving murders. One player who has to play the ghost has to guide the rest of the players who are supposed to be psychics. They need to solve who has committed the murder, with which weapon and at what location. The ghost uses beautifully illustrated cards to help the team decipher the clues. Along with being a great cooperative game, it is an excellent game for a party, especially a late night one. The basic premise of this game is that the players are investigators who are psychic and are trying to solve a murder mystery. It is something along the lines of Sherlock Holmes but much more fun as there are ghosts and psychics involved. If you enjoy murder mysteries, then you will love this game. In Mysterium, the players of the game have to work together to solve a crime. There will be a ghost player who knows all the true facts of the murder but is not allowed to spill the beans to anyone. The ghost player can only communicate to the rest of the players using illustrated cards. This is along the lines of dumb charades. The clues are meant to point towards the correct location, weapon and the suspect so that the case will be solved. The game has a lot of components and the gameplay is very interesting and captivating. If you don’t choose a good player to be the ghost, it sometimes gets frustrating to understand and decipher the clues. This is a game which will have a lot of resonance in the United States. 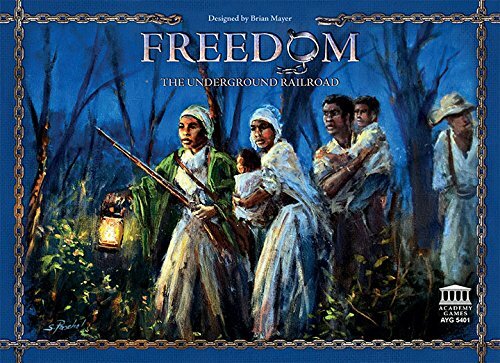 It is basically a game where you as players work together to free the slaves along the Underground Railroad. This game is a portrayal which is historically accurate of the abolitionist movement that happened in the United States. It manages to tackle and address deep themes while also being an excellent and entertaining game. You as the players will have to work together to increase support for the freedom movement. You will have to help slaves who have escaped to run away and evade the slave catchers. You will have to chart their course of freedom. It is an excellent opportunity to get the feel of working with historical figures of the 19th century on a very noble effort. The cooperative game has a very strong focus on the historical aspect of the movement and has a lot of educational value. It can seem slow and the game runs a bit longer than expected but since you are having fun and learning at the same time, it’s worth it. This is a very fun and exciting game. If you like the “Lara Croft: Tomb Raider” genre, you will love this game. You along with your friends are stuck in a temple that is cursed. You have only ten minutes to get out of the temple along with your friends. 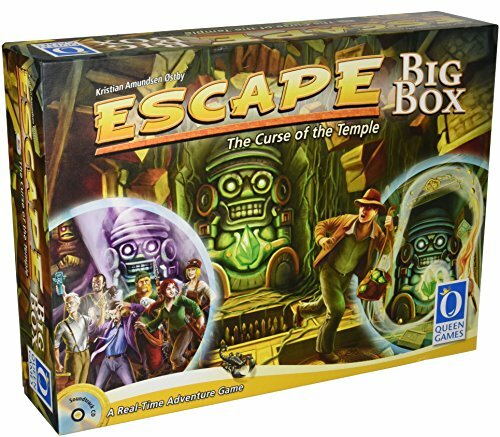 There are many interesting twists and turns to the game like having to explore rooms that are booby-trapped, finding jewels, and fighting your way out of curses. There are fun conditions like playing without speaking, playing with a handicap of having your hand on top of your head, and losing any dice that may fall off the table. You need to work together to all get out of the temple; you have to get your friends out who are stuck, as a group works together to share the dice. If you do so in ten minutes you will or else you have to restart the game. It comes with an excellent soundtrack that is available as an MP3 download or on the CD. You need to beat the clock and get out while helping each other. Fast and exciting: The game is very fast, exciting and engaging. You will love to play it, especially if you like the Indiana Jones or the Lara Croft genre. Great Soundtrack: The soundtrack adds a lot of enthusiasm to the game and your excitement levels increase due to the soundtrack while playing the game. 10 Minutes: Though you can play the game again when it is over, generally the game gets over very fast. You will enjoy any of the above games depending on your interest. If you want the original, cooperative game and enjoy the excitement of beating pandemics then try the Pandemic Legacy. If you are a historical fan then you can go for the Freedom: The Underground Railroadgame. If you like murder mysteries then try the Mysterium game. If you are a fan of superheroes then Sentinels of the Multiverseis the game for you and finally, if you want a fast game to get the mood of your parties going then go for the Escape: The Curse of the Temple game. Bananagrams Review- A Bunch of Family Fun!